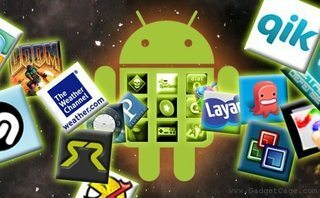 Articles › Android without Google: Where do I get my apps now? Now that we´ve freed our device(s) completely from „all things Google“, a new question arises: Where do I get my apps from now? After all, the Google Play Store app fell victim to our „house cleaning“ as well. We´ve become fond of several apps obtained there, and maybe even bought the one or the other – is that´s all „water under the bridge“ now, died irrevocably? Must we do withouth those – or are there alternative ways to access Google Play Store? What other options do we have to obtain apps? 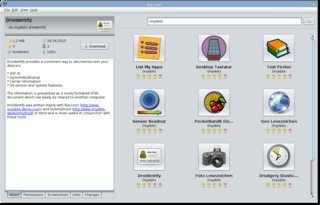 One alternative app to access Google Play Store was already mentioned multiple times throughout this blog series1: BlankStore, a minimalist open-source Google Play Store client. Using that, we can access Playstore directly from our Android device – but with some restrictions: It doesn´t find payed apps. To access the Google Play Store one can e.g. use the YalpStore App or its fork Aurora Store, which can be found at F-Droid. With your own Google account configured, it is even able to access apps you‘ve bought (but cannot by apps itself, nor verify licenses: that always requires the original Google Play Store app). If you only want to access „free apps“, you dont even need to configure an account with it. Whether other Playstore apps2 as e.g. Tablet Market work with NOGAPPS or microG, I didn´t check; it might well be they need the original Playstore app to access/download apps. A pretty good tool for our purpose is Raccoon, which I use myself for quite a while now. This application is written in Java, and hence should run on all major platforms (e.g. on Linux, MacOS, Windows). On Linux it works markedly stable and performant, as I can say from my own personal experience. The application accesses Playstore using your own credentials (and ideally the android_id of your device) – so you cannot only find all free apps available for your device, but also all those youve bought with the resp. account. You can, however, not buy anything with Raccoon; for that youve got to utilize your web browser. Once bought that way, Raccoon should be able to find and download the corresponding .apk file. By the way: Starting with version 4.0, it will even allow you to get informed on updates, and contain its own „App Manager“. A third option is converting a „veteran Android device“ into an „app agent“: Kick everything off it but the absolute necessary GApps minimum (also known as „pico“), then use its Google Play Store app to buy/download/install the wanted apps. That done, use an app intended to backup .apk files to obtain those from the device, and finally push them to your „Google-Freed“ ones. Certainly this is not only cumbersome – but it might not give you access to all apps your „free devices“ might need (keywords: device compatibility, Android versions). There´s another handicap we need to pay attention to, concerning payed apps: as neither NOGAPPS nor microG offer validation of Google licenses currently (see permission vending.CHECK_LICENSE), apps using that will grasp at nothing. That´s of course not an issue for apps not using Google´s license service (which you can tell by the corresponding permission, or rather its absence). For others it very well might be. If you want to play it safe, you check that before you buy such an app. If it has the permission, ask the dev: sufficient demand provided, most devs will be open to changes and provide alternatives. These were already discussed in my article Android Markets: How safe are alternative sources? Without reservations, I can recommend F-Droid here: Though its pool (with currently about 2,000 apps) is rather modestly sized, all its apps are free and open-source. Several apps you find only here and in no other market (e.g. microG and the NLP-backends for its alternative Location services). For safety and security vouches F-Droid Limited, the company behind the main repository. Only apps being open-source, and have their source code evaluated, make it into the repository. Moreover, F-Droid compiles the apps themselves from that verified source code, so you can know the contents are what the cover promises. On the other hand this means all apps have to be signed with F-Droid´s signature (not the original dev´s one) – so you cannot update apps across other sources. But honestly, thats something one rarely does anyway. Another goodie: the F-Droid app is very straight and clear. No bloatware inside – and according to a study made in 8/2017 the only market without any ad- or malware. It keeps your apps up-to-date: you get notifications when updates are available, and can decide whether to install them, skip a single update (you´re notified then only if the next update has arrived), or to exclude an app completely from future update checks (no more notifications then). And next to F-Droid‘s own repository, it can also deal with third-party repositories such as IzzyOnDroid‘s.3 In short: I´m very satisfied by F-Droid. Often mentioned in this context also is Aptoide. This market again has a bigger collection to offer – but you should restrict yourself to the repository named „Apps“, which is manually curated by the Aptoide team, unless you know exactly what you´re doing (details in the article linked above). Advantage here: signatures are usually identical with those of the same apps in Playstore (if not, in most cases that´s a bad sign), so here you can „update crosswise“. Of course there are several other markets. Some are manufacturer specific (e.g. the market run by Samsung), and then there are Amazon and the likes. Personally, I didn´t free my devices just to enslave them at another place – but the decision is, as always, yours for your devices. Many developers host their code at Github or GitLab. It´s not rare they also have the corresponding .apk files available there. Even F-Droid often uses those repositories – but by far not every app hosted at Github is available in the repositories at F-Droid (and vice versa). 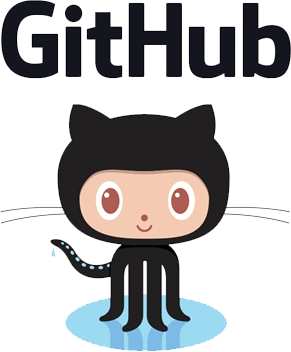 What´s really great with Github: everyone and his little sister can participate, can contribute to the product. If you´ve got the tools, education, time, and „feel like it“, you can contribute your own improvements/fixes. If not explicitly disabled by the corresponding developer, other Github-registered users can report errors, problems or feature-requests using the so-called „Issues“ (and follow their processing). Many projects even maintain a Wiki here. Found a project, but there´s no .apk listed? Use the source, Luke, it´s all there (that´s if you´re a dev, of course). If that exceeds your capabilities (no shame: if all were bakers, who´d make the beer?) you can, after thoroughly searching existing issues if not someone else already did so, open a new issue aksing the dev to provide it with the repo. If the dev provided it, Google Play Store as well as most other markets provide a link to the corresponding website. Often you can find an .apk for download there – or you can at least contact the dev, asking for an „alternative source“. 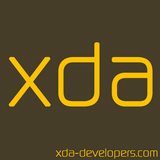 One of those „alternative sources“, if not to say the best one, is the XDA-Developers´ forum. Many good apps meanwhile having high reputation started here, and still are here; many have their „support thread“ in this forum. It´s rather normal than not you find corresponding .apk files (or at least links to them) in those threads´ first posts. If you want to look for a certain app there, either use the forum´s integrated search feature – or some „special Google-Fu“ like a search for <AppName> site:xda-developers.com (of course after replacing <AppName> with the name of the app you´re after ). Directly from your Android device, you can even conveniently use the app XDA Labs – which then will also inform you whenever there are updates available. 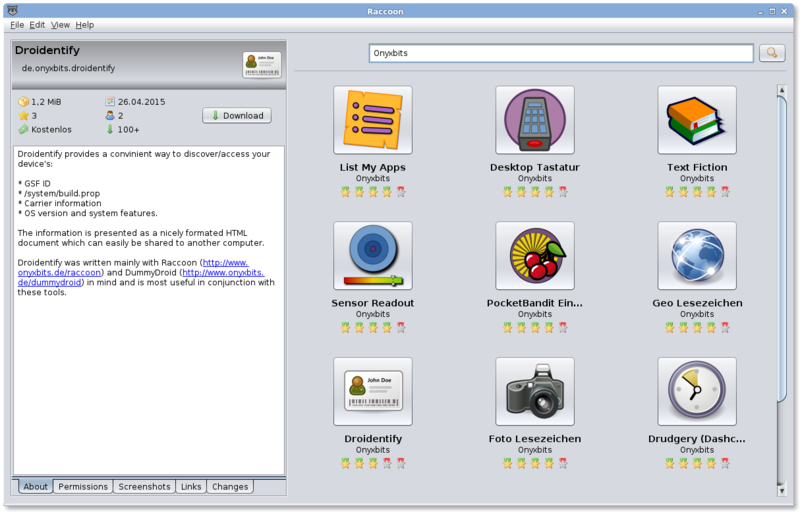 PRISM Break specializes on software respecting your privacy. Not only on Android.